A lapidary is a person who cuts or carves and polishes gemstones, stone, minerals and other hard materials excluding diamonds. Lapidaries render decorative carvings such as cameos and they tumble cut cabochons and facet gem materials. 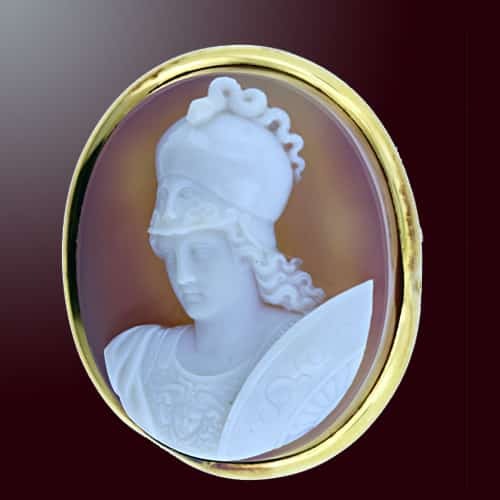 Exquisite Example of a Hardstone Cameo Carved by a Skilled Lapidary.